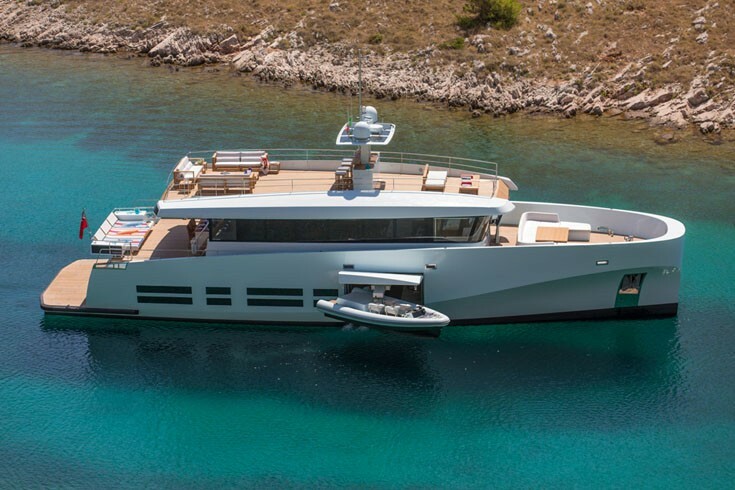 Launched in 2012 by the respected Monaco-based builder Wally Yachts, the 26m motor yacht Kanga is the first unit belonging to the successful displacement line WallyAce. 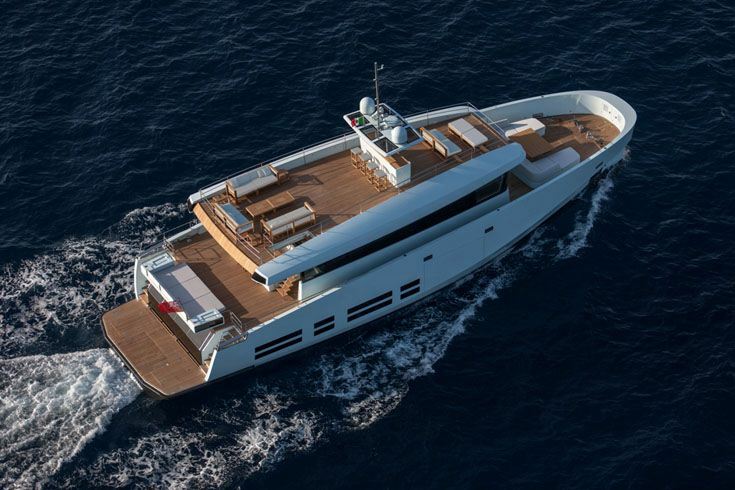 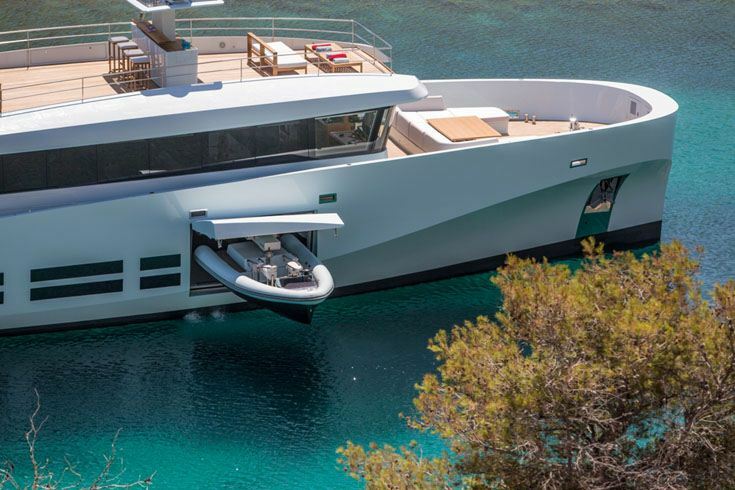 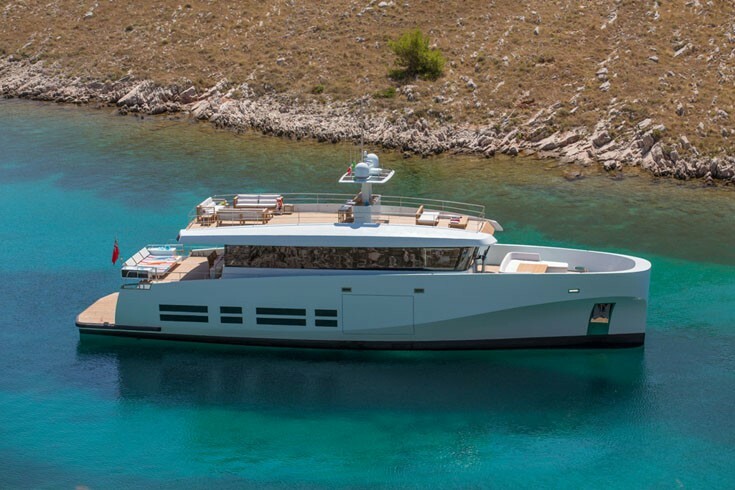 With exterior styling and interior design by Wally and Luca Bassani, the Kanga superyacht's design is the result of the shipyard, Allseas as well as Luca Bassani Design's marvellous collaboration. 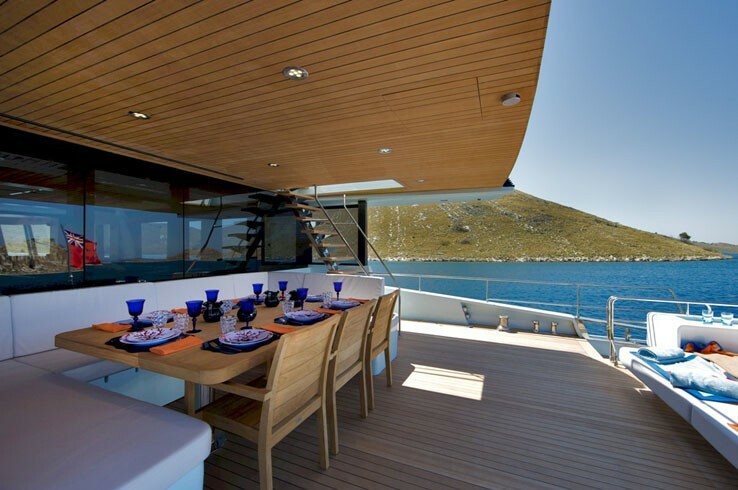 Providing simple and fresh interiors, the WallyAce superyacht Kanga can accommodate 10 guests in comfort and luxury. 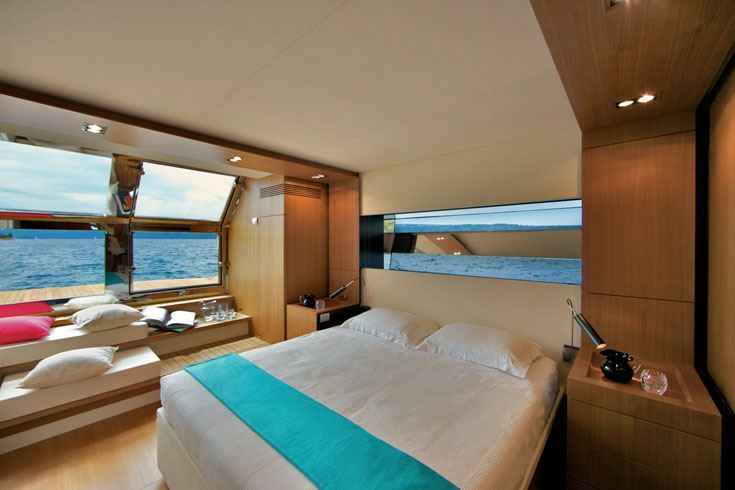 She offers four large double cabins, with two cabins featuring additional pullman beds. 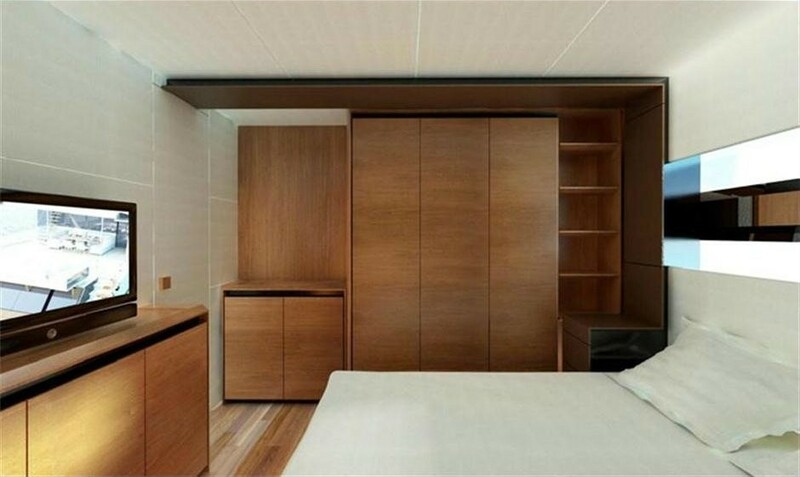 All cabins have en-suites. 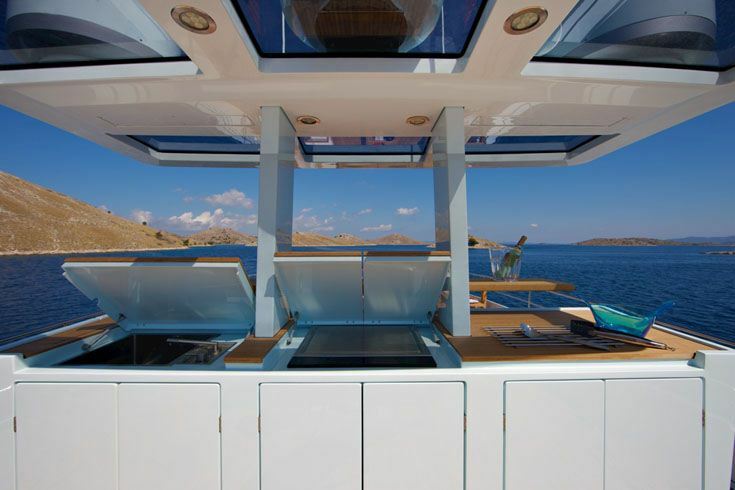 The master cabin and VIP cabin have direct access to the sea. 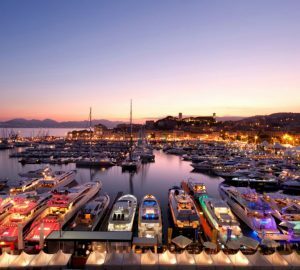 The crew and service area is situated forward, separated from the guest night area by the engine room and the garage to ensure maximum privacy. 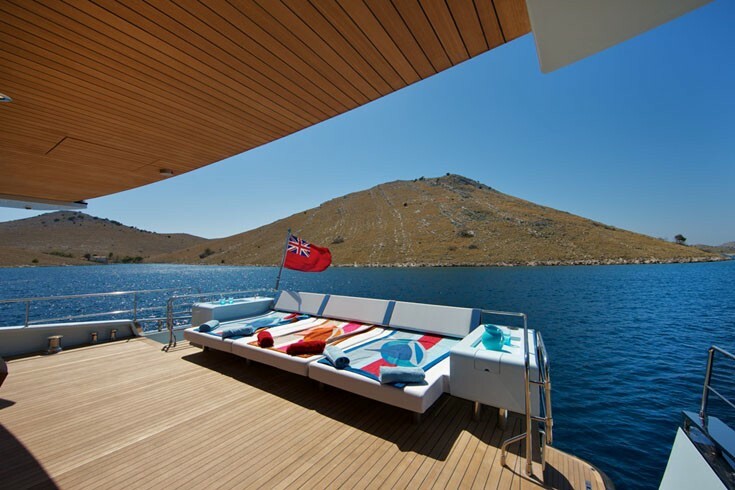 The crew accommodation is for four people sleeping in two double cabins. 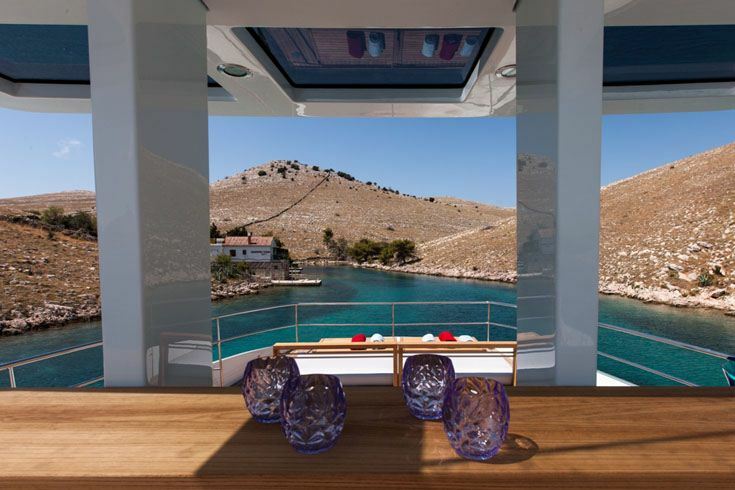 Kanga yacht also boasts more than 50 sqm of social area incorporated in the glass walled superstructure, that comprises the lounge with large sofas, the dining table for 10-12 guests, as well as the steering and navigation station. 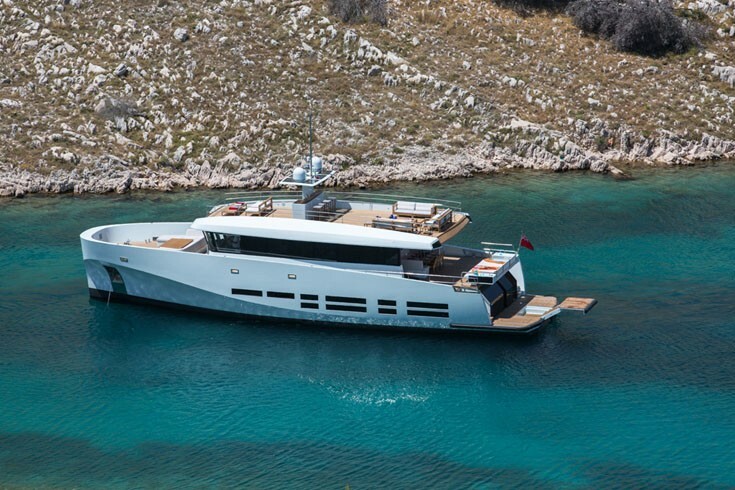 Built using the sandwich GRP construction technology, the 26m luxury yacht Kanga is run by twin 385 bhp Caterpillar C12 engines, achieving a comfortable top speed of 13 knots @ 1,800 rpm. 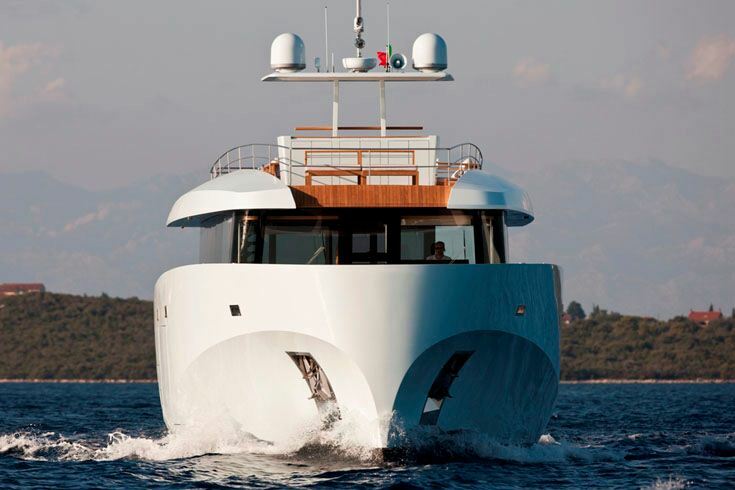 Her maximum beam is of 7.75m (25'5''), while her draft is of 1.75m (5'9''). 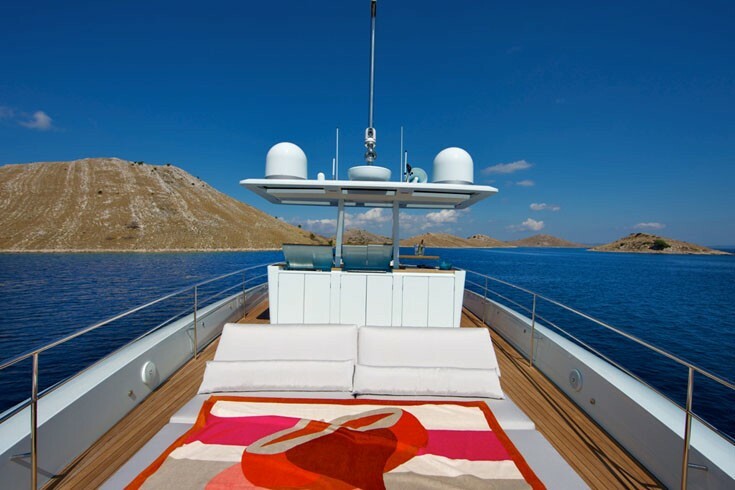 The 26m luxury yacht Kanga can provide up to 10 charter guests with maximum comfort. 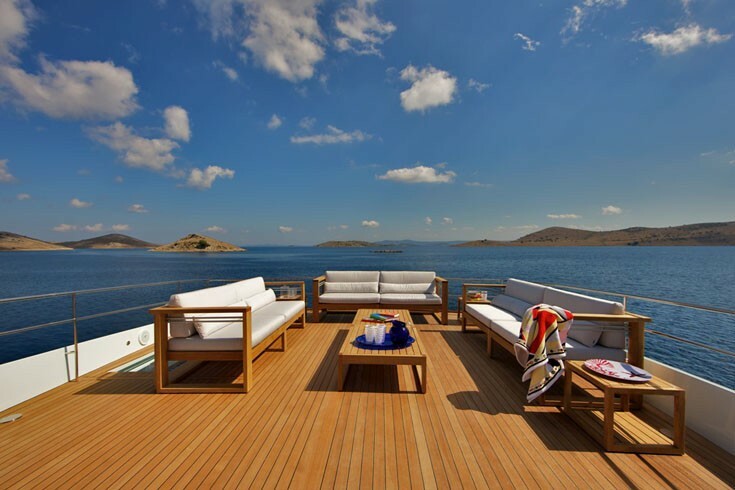 She offers four spacious double cabins, with two cabins featuring additional pullman beds. 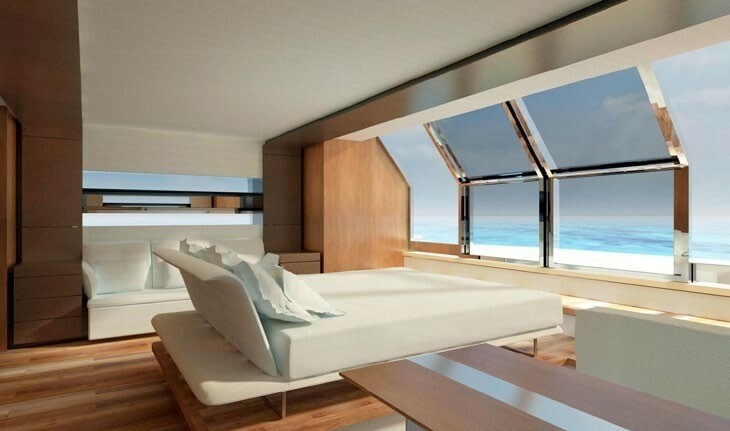 All cabins have en-suites. 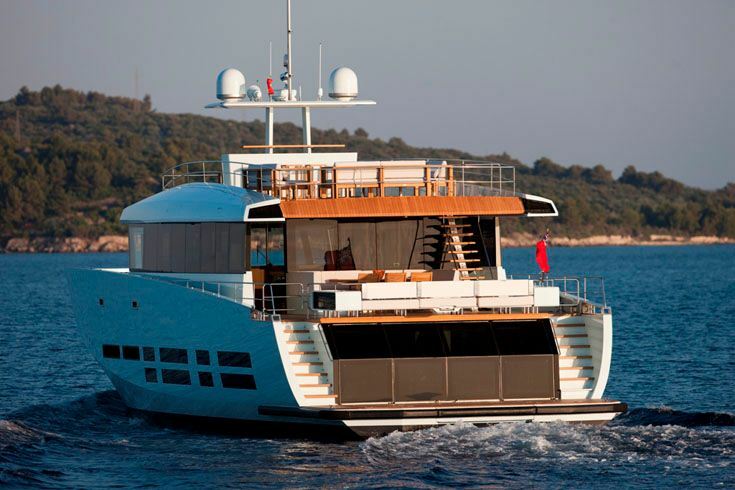 The master cabin as well as VIP cabin have direct access to the sea. 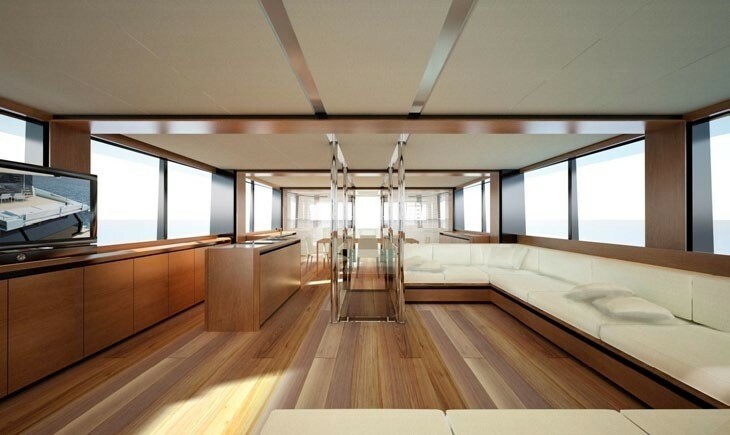 The crew and service area can be found forward, separated from the guest night area by the engine room and the garage to ensure maximum privacy. 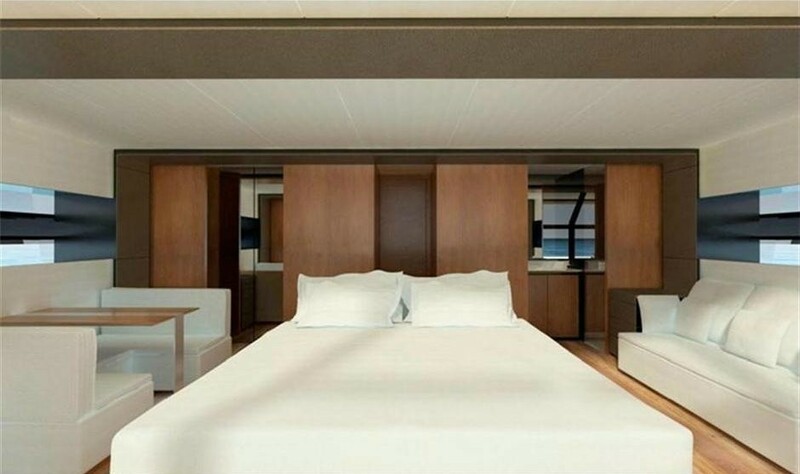 The crew accommodation is for four people sleeping in two double cabins. 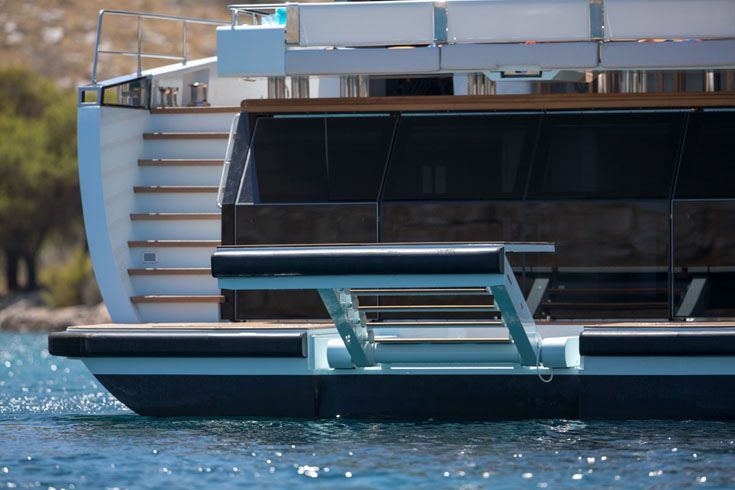 Charter yacht KANGA has the following Tenders + toys: 6 meter custom tender, Wake board, Water Skis, Single ski, Masks and flippers.